Today I began Accutance at 40/MG per day. I weigh about 170lbs and am 6'1". 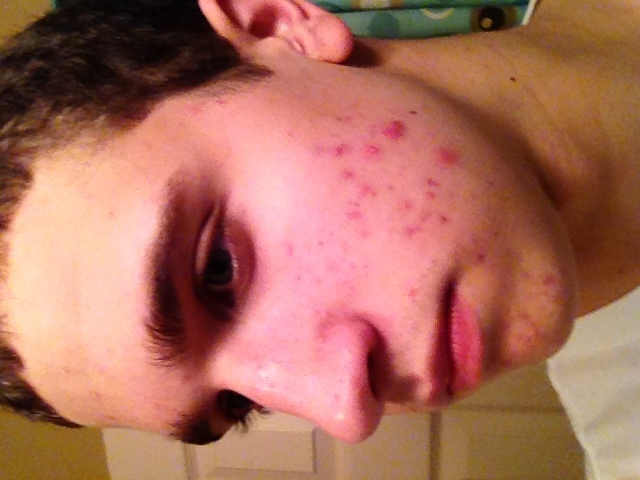 Here's my pics today before i took accutane. 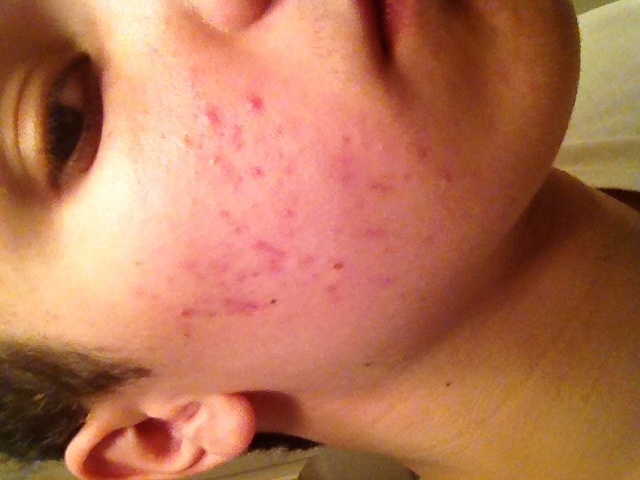 Hopefully I see most of my acne / scars go away like many others on this forum. Come here to talk about your experience, or if you just want to see what my experience is like. Wish me luck! This is me, cory.. haha i didnt want all of my facebook stuff on here so i tried making this account. Don't know how to remake page? But dana really? Whats it like five days in? Good luck! Thanks guys! Allison, i see you've already done a course! Did you acne begin again in order for you to go for another one? If so sorry to hear:/..
Also.... my doctor wanted to start me off with 60MG/day (3X20MG) but i felt more comfortable starting on 40MG/Day for a little while..
We should somehow keep each other posted? Maybe anyone else who has started in the last couple of days? sounds good jenn! and dont worry haha i've been putting chapstick on Just in case... but i felt a little weirdness in my back, and my eyes were slightly dry today... we can either keep posted on here or another way haha idc! Good luck! 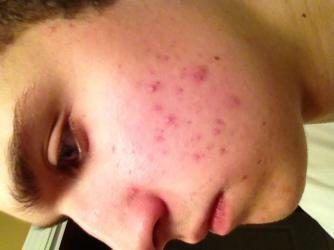 I know its only day 2 (haha) but i just wanna keep pics of the first week or two to show the exact process for ME. Today i felt a little back pain (very mild), a little bit of dry lips, and slightly dry eyes periodically. 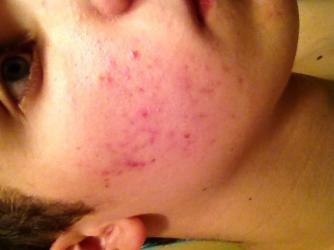 I feel like my acne is all beginning to surface for the whol "get worse before it gets better" thing... Not looking forward to that but its all about the end goal! BTW... whats a the difference between a CYST and a PIMPLE... i feel like because mine have left scars they are smaller cysts? 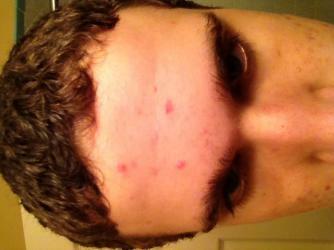 like the one on my left cheek, the big red one.. seems like a cyst but not sure. @Esa thanks man! you too! I really cant wait until i start seeing results (even though its sooo early).. with a clear face i'd love life for awhile im sure lol. Symptoms today: Slightyly dry lips, and face. Also mild back pain, very little headache. Some pics.. (definiately breaking out a little more than normal) can anyone answer if the red ones are cysts! My acne terminology isnt the greatest! Hope you see results soon! I started 40 mg 10 days ago, same brand. I know what you mean as far as the confidence with girls and Acne, its been so long since I've felt comfortable being able to approach a girl and not have to worry about them looking at spots on my face. All I can think about is how different my life will be once this drug works its magic. Best of luck to you man. yeah its good to know someones with me, but yeah im pretty comfortable but id be so much better off with a clear face ya know? Its alright though in a few months we'll both by Hi fiving each other hopefull haha. Best of luck to you too! Some symptoms i've been experiencing: Headache (i have a bad one right now, is this norma? kinda worriedl), drier than normal face and lips, some head pressure, slight chest pain?, very sore from a workout i did 2 days ago. 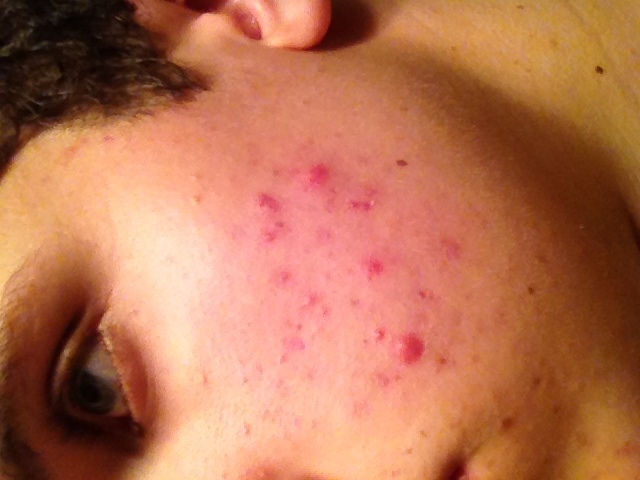 I am experiencing more of a breakout, but i do see some acne spots really drying up and im amazed with that haha. Thats about it for symptoms, this headache is brutal though. It'd be nice to know if its normal or not. ONE WEEK DOWN!!! Very excited about that. I feel pretty happy for the most part, accutane (Claravis) is taking its toll for sure. 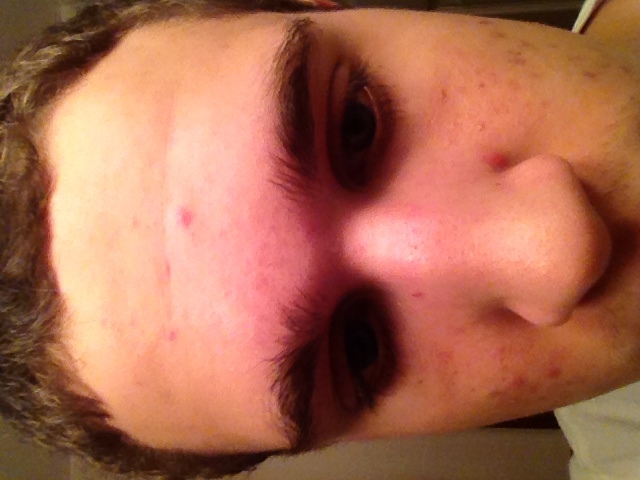 Symptoms: Headache lurking around today, Face is dry, lips pretty dry, slight stomach pain?, backs a bit sore. 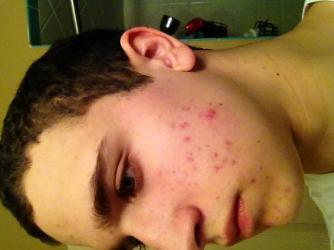 These pics are a bit harsh and i feel like they're mostly scars with some new pimples. I dont forsee an IB and believe everything is healing atm. Face feels very smooth! Best side of my face! This one you can see the acne drying over.. no new acne really on this side of face. The marks by nose and on forehead WERE pimples, but quickly dried up and i think are dying now. congrats are you still going to work out on roaccutane then? I didnt think you were supposed to. Also how many months is your course? Happydaisy yeah, my derm said not to have too hard of a workout. I kept it light but still got very sore. I don't plan on working out unless it's very light to just maintain. Thanks for the concern! I'm on my phone so can't really (or don't know how to) put pics up. Anyways, my brutal headaches have disappeared for now (thank god) and hopefully they do not return. 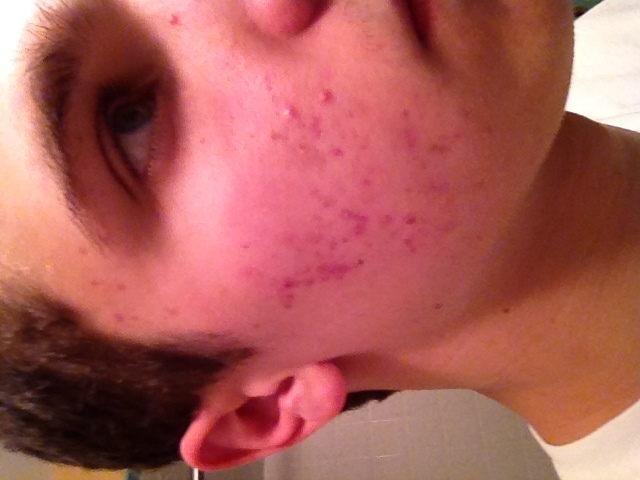 My derm was a bit skeptically, and was very close to pulling me off of claravis (accutane) but said if I don't get any others she shouldn't see a problem. Symptoms today: slightly dry face and lips, tired, a bit out of it, groin area hurts a bit (weird). I'm soooooo tired of my acne and my scarring.. 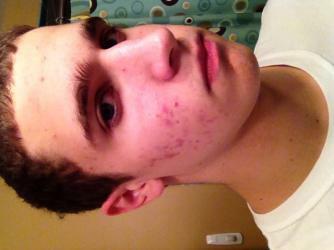 I'm a little discouraged and just want it to be gone already. My fingers will remain crossed! Symptoms: Dry lips, sort of dry face, eyes feel dry at times, slight back and joint pain, itchy (especially head), BREAKING OUT . 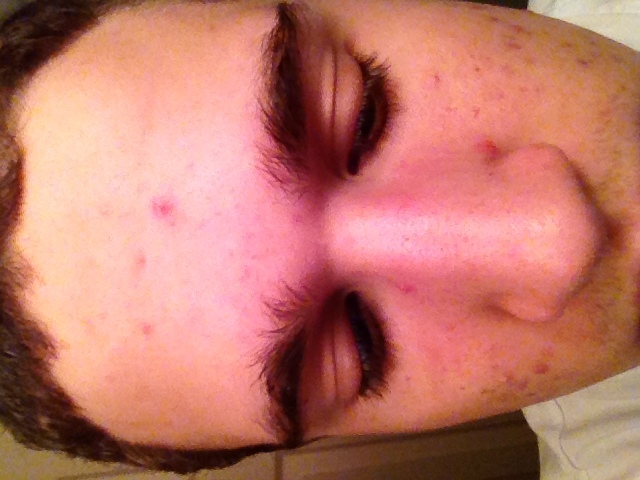 So far i havent seen much improvement but spots that I never received acne feel very smooth. 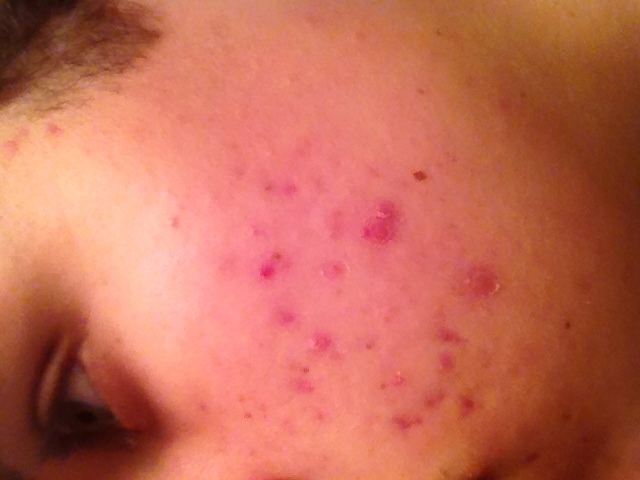 The accutane is definitely closing up more pores more, but im in my IB right now i think. Hopefully within the next two weeks I see some improvement :/ Im Praying. 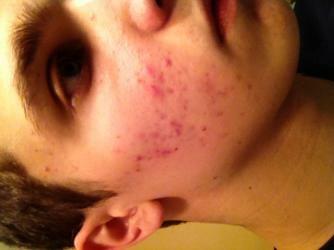 Here's pictures... you'll surely see them breaking out. 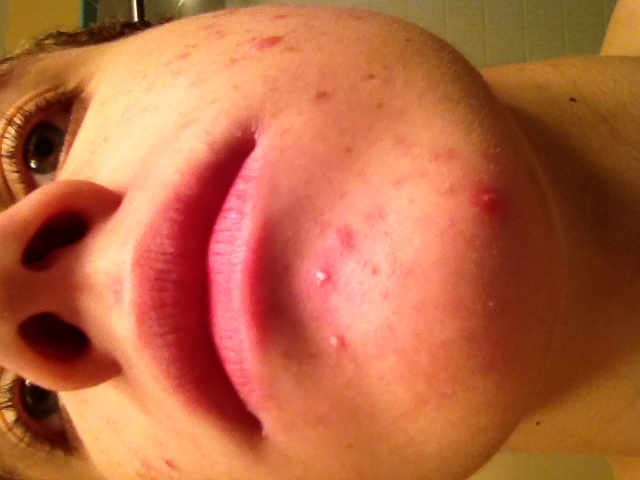 No pics right now, but i only have about 3 activie pimples at the moment, and other than that the other ones are drying up! Symtopms: Face and lips are pretty dry, my EYEs get dry/itchy/& sore, slight joint/back pain, more tired than normal, and i think im feeling a bit dizzy while on it. Not sure if thats from the tane but id assume so. The eye thing really bothers me. Has anyone else experienced this? What about Dizzy/out of it, or more tired than normal? Any raply would be great, thanks guys! Dizzy on the other hand I have not expereniced. 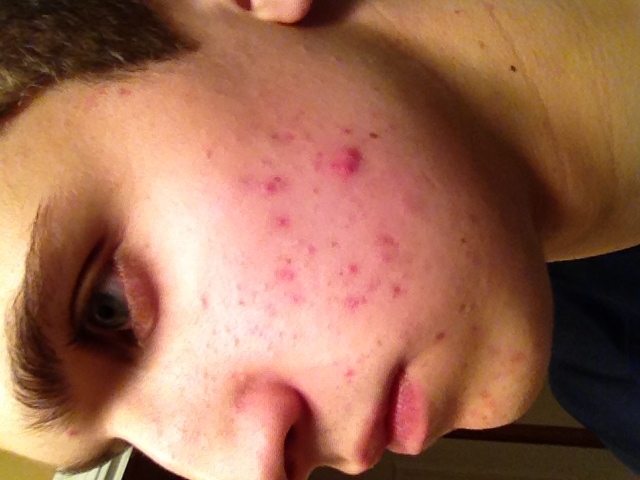 Something you might want to talk to your doctor about because Accutane can effect you neurologically and you might be experenicing some effects of that. Not to scare you but it would be best to call your doctor and ask about the dizziness. Hey there- I'm just wrapping up my first month and all of the side effects you describe are things I've experienced and I believe to be pretty common. My eyes felt extremely dry the first week. I used eye drops a couple times a day to ease the discomfort. Every once or twice in a while, maybe once a week, I get a really short dizzy spell. It wasn't something I was aware of before, or if it happened, I didn't think of it as anything strange. Hi there yeah im thinking mine are very common as well. The dizziness isn't very noticeable if not, not there at all anymore so thats good! Lol i did start experiencing a new breakout which i guess is expected at my low dose 40MG while iweigh 170.. nice to hear from ya and good luck! Sorry, these days have almost flown by and i get super lazy at the end of the night so i dont post here too often. At first i thought i would all of the time but i guess thats not the case. I do NOT have pictures ATM, but my face is getting a little broken out right now. A bunch of red bumps (i think cysts?? idk) are forming (like 7 of them) and some of them turn into whiteheads, while others just linger for awhile. 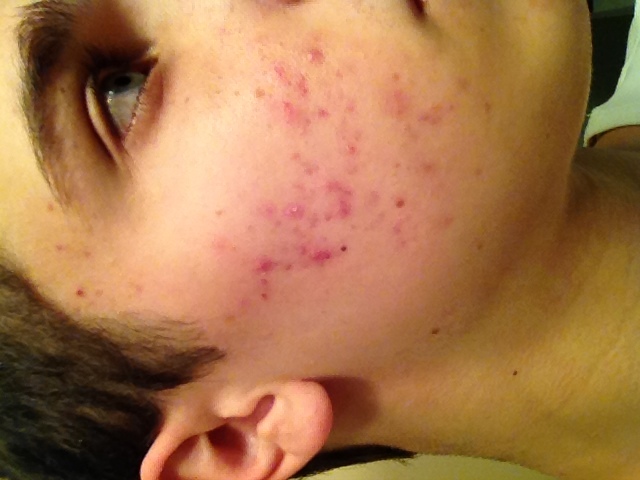 With my low dosage (40MG at 170lbs) im expecting more of a breakout / clear up, then break out / clear up again phase. I was pretty clear for about 4 days then to get hit with a decent breakout I feel like once this break outs gone, ill get even MORE clear than before and so on. Some side effects I have are the norm: Dry lips, slightly dry face, mild joint pain, eyes itchy/dry, SLIGHT chest pain (due to not drinking enough water i think), and more skin is DEFINITELY more susceptible (idk if i spelled that right) to a scrath or something. Thats about it! I wish anyone else on this pill the best of luck, and also hope i give anyone good insight!